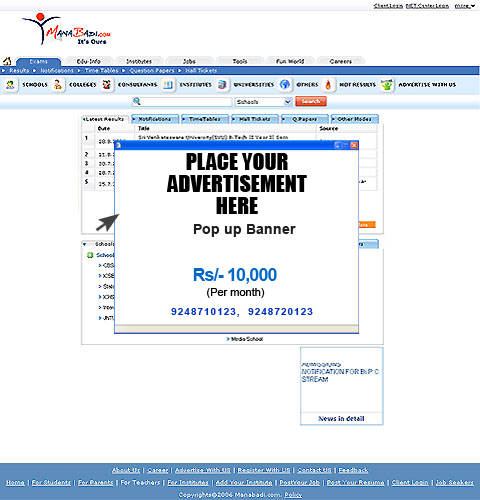 Features : Pop ups are the most effective way of advertising. 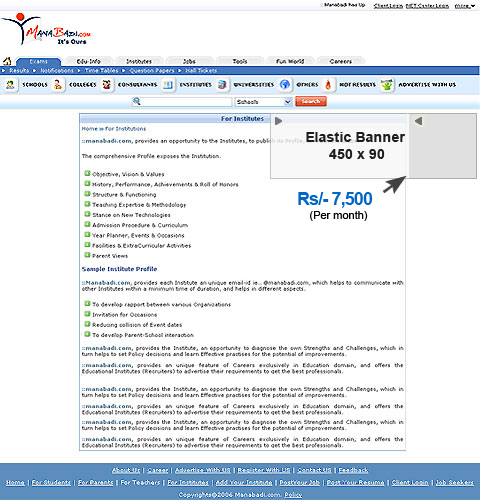 By open of Manabadi.com a pop window of your advertisement will open. So it grabs the viewer attention more.